Looking to buy an Easter basket for kids ? We can help ! 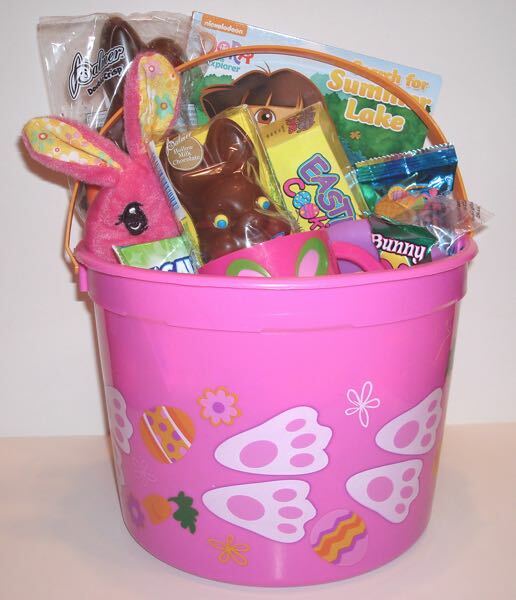 We have many different Easter baskets to choose from just for kids in a variety of prices ranges. From large to small, from boys to girls we have something we are sure will please you. 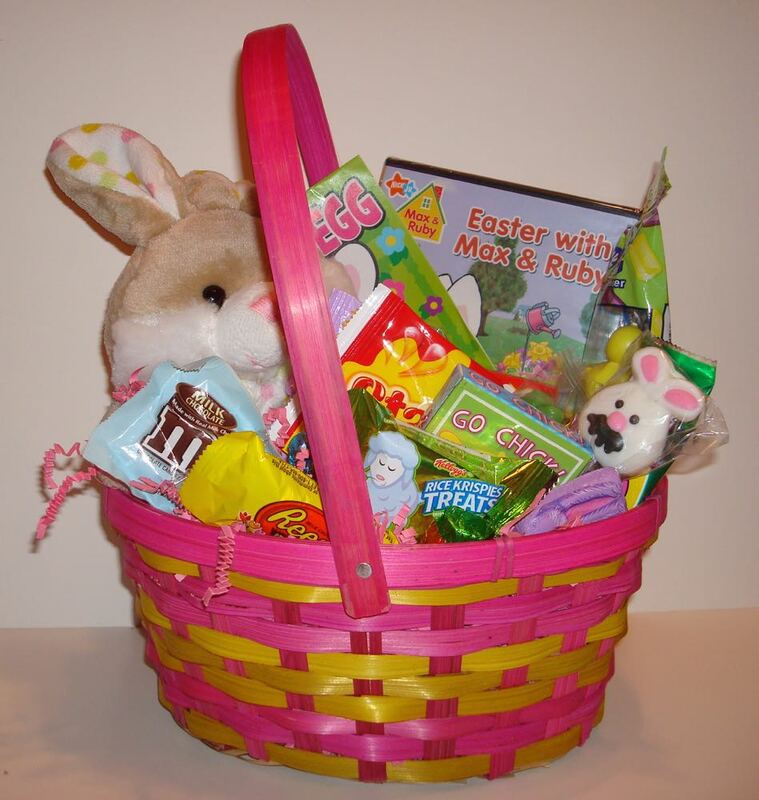 We have baskets with just candy and some with candy and toys. Whether you are looking for a kids Easter gift basket for a boy or a girl. This is perfect a perfect choice. With over 25 Easter favorites you won't go wrong. Each basket is wrapped in a gift bag with a ribbon bow. If you would like to add a gift message just let us know. Your little man will have so much fun digging through this Easter baskets and finding all the candies and toys for hours of fun with this Easter basket for boys. Easter basket for girls. Any little girl will be delighted to find some sidewalk chalk, a bottle of bubbles, a Easter memory card game besides all the fun Easter candy. 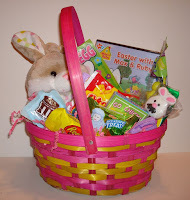 This kids Easter basket is filled with toys, candy plus an Easter Dvd. Our bunny basket is sure to delight any child. You will find not only the cutest stuff bunny, but also an Easter Dvd, a maze coloring book, crayons and an Easter version card game. Along with a great variety of candy. 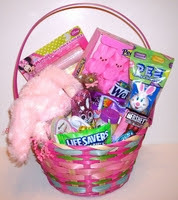 Our toddler girls Easter basket comes with a stuffed bunny, a plastic Easter cup and a story book. You also get a box of Easter cookies, fruit snacks, a chocolate bunny sucker, gummy lifesaver bunnies and a rice krispie treat and more. 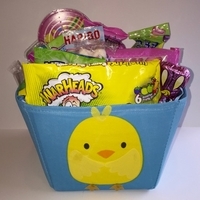 Filled with a hollow chocolate bunny, malted milk mini eggs,mini jelly beans, mini peanut butter egg,chocolate eggs and an Easter pop are just a few of the Easter Candy you get in this cute basket. 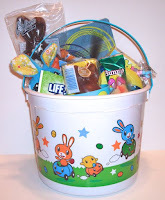 This is a great kids Easter basket with not to much candy, but just enough. 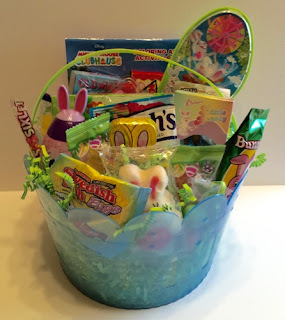 So if you are looking to buy a kids Easter basket check out out. So many choices it's crazy. 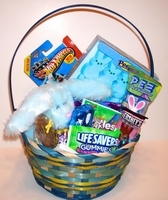 If you don't see one you like , let us know many of times we can personalize an Easter basket just for you.